Operating amid the hustle and bustle of Canada’s biggest city of Toronto, Joseph Waldman has a knack of seeing regions ripe for development north and south of the 44th parallel and even overseas. The constantly on-the-go president of Highgates Group, Waldman is the man behind many successful projects in such diverse locales as Ontario, Iowa, upstate New York and Israel. A couple years ago he saw potential aplenty in Kentucky, joining an ownership group that bought the Chateau Village apartment village in Louisville. And this summer will mark the opening of the first phase of a large apartment community his company is building in Louisville. Located on 10 acres in the heart of south Louisville, the Willard at Preston Crossing calls for a late 2017 completion with 166 units among seven three-story buildings, with two buildings set to open in June. Built with families and young professionals in mind, the one-, two- and three-bedroom units range from 980 to 1,508 square feet, priced a little more than $1 per foot, and include hookups for washer and dryer. 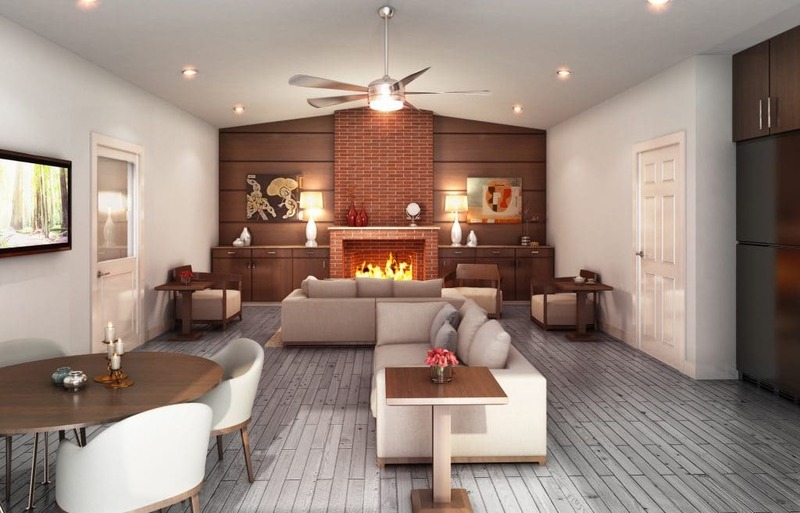 With Waldman’s tastes leaning firmly toward upscale, the units come with high-end amenities that include granite countertops, vinyl wood-like flooring and skilled carpentry. Other amenities of the pet-friendly village include a fitness center, clubhouse with computer workstations and printer, and a splash park instead of a swimming pool. And there are certain to be more Highgates projects in the Bluegrass State, as the company owns property in Radcliff 40 miles south of Louisville. To Waldman, similarities abound between Kentucky and Iowa, where he made his entry into the U.S. residential and rental housing market. A market’s growth needn’t be dramatic, Waldman says. Steady growth can be preferable to booms that are inevitably followed by busts, and in an area as high stakes as real estate development, it may be worth bypassing the possibility of an initial jackpot in favor of something more modest but reliable. Especially if it results in revenue that can be leveraged toward the next project. One reason Waldman’s company can invest in Kentucky is because it found success building single-family homes and townhouses in and around Iowa’s capital of Des Moines. International borders are no impediment for the boss of a Toronto real estate firm who sees housing potential aplenty. A banking and insurance center in the heartland, albeit without the glitz of other metropolitan areas, Des Moines and its suburbs offer an affordable cost of living and professional and recreational opportunities attractive to young families. Highgates tapped into this opportunity a few years ago, and other developers—particularly those who have long operated in the Midwest—might be wondering why they didn’t do the same. Highgates has several communities around Des Moines, including the Caymus Park townhouses in suburban Grimes, blessed with “small-town charm and major metro amenities” just 15 minutes from the state capital. 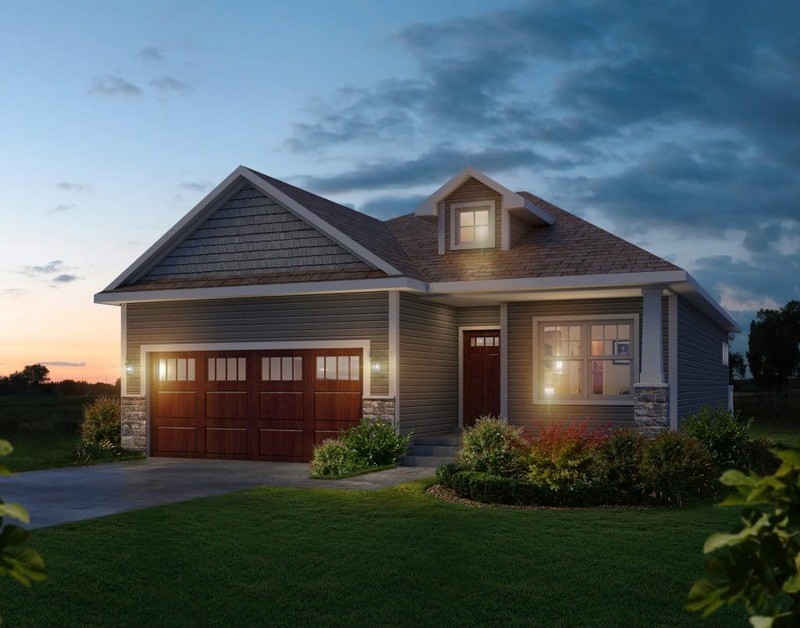 Another Highgates community, the upscale Villas on the Ridge, can be found in Norwalk, deemed Iowa’s “best affordable suburb” by Businessweek and locale of the famous golf course at Echo Valley Country Club. All in all, the Iowa projects are proceeding satisfactorily enough so Highgate can be extra bullish on Kentucky. On March 1 Louisville authorities granted it permission to build another apartment village, this one with 264 units on 19.5 acres that will be dubbed Covington by the Lake. Aside from building residential and rental properties, Highgates runs a property-management wing, with its clients being owners of U.S. and Canadian apartment complexes and villages. To say Waldman is hands-on and no-nonsense might be an understatement. “We manage the managers,” Waldman says, adding that personal experience as an apartment owner has taught him of the many ways money can disappear even when an honest person is in charge. Honesty still needs competence, he emphasizes. Though born in Belgium, Waldman got into the real estate business as a young man in Israel, where his family has a thriving operation. When the Israeli real estate market lagged during the early 1990s, Waldman opted for Canada, starting Highgates in Toronto. With Highgates, there are separate wings for construction, development and management. The company also is very active in Israel, where its projects include massive housing communities in and around Jerusalem. But nowadays Waldman focuses most of his energies on this hemisphere, and as the Iowa and Kentucky projects grow, he’s looking for more opportunities in the United States. Quality housing, both rental and residential, in a growing area at a price that’s not prohibitive has been the foundation of Highgates’s success, and he’s eager to take that approach elsewhere. And if the Kentucky projects prove as successful as what the company has done in Iowa, he’ll have a lot to leverage for future endeavors.